German Chancellor Angela Merkel announced Monday that she will not seek re-election as party leader of the Christian Democratic Union. The decision comes after two poor showing by the CDU in state-level elections this month in the states of Bavaria and Hesse. Merkel has been leader of the CDU since 2000 and chancellor since 2005. While she has said she is not seeking re-election, she has announced it is her intention to remain chancellor until the next general election in 2021. “It is time today for me to start a new chapter. This fourth term is my last term as chancellor of the Federal Republic of Germany. In the next Bundestag election in 2021, I will not run again as chancellor. 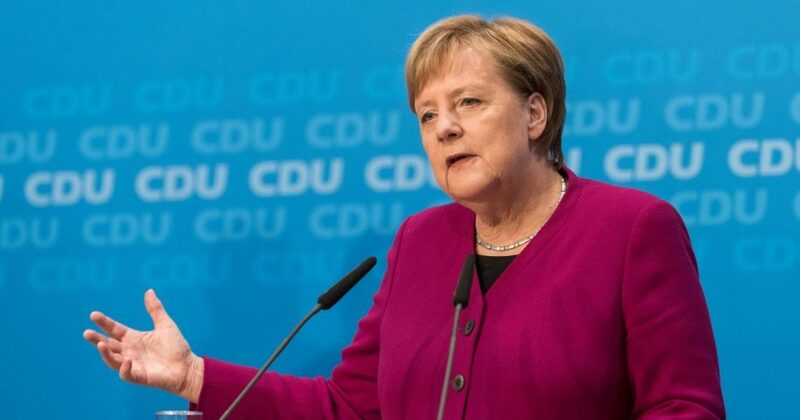 I will not run for the German Bundestag any more, and I do not want any other political office,” Merkel said to reporters in a translated statement in Berlin, according to CNN. At the federal level, Merkel currently leads a fragile coalition consisting of the CDU and the CDU’s main rival: the Social Democrats (SPD). The uneasy coalition was Merkel’s only remaining option after failing to form a coalition with the environmentalist Green Party and the liberal Free Democratic Party. The Alternative for Germany (AfD) entered the Bundestag for the first time in September 2017, according to the BBC. Merkel has been one of the leading proponents of further European integration. Her open refugee policy has led to the rise of the AfD, which has risen in the polls amid other anti-establishment sentiments in Europe on the right. Do you think Angela Merkel is making the right decision? On the anti-establishment left, the Greens have also increased in national popularity, further squeezing Merkel’s fragile CDU-SPD coalition, according to the BBC. As the leader of the European Union’s biggest economy, Merkel also played a significant role in the Greek Debt Crisis. In exchange for EU bailouts, Merkel was the leading proponent of austerity measures imposed on Greece in attempt to get Athens’ public finances under control. Austerity proved extremely controversial in Greece. When Merkel visited the country in 2012, protesters dressed up as Nazis, according to Reuters. Domesticially, Merkel portrayed her self as a pragmatic moderate. The CDU’s next leadership election is scheduled to take place in December, CNN reports.